More punch, power, dynamics, highs, lows, clarity and definition for your guitar. The IRT-X is not an extension cabinet “ its a 200W RMS powered extension cabinet. The key is “ Electro- Mechanical Reactive Linking (ERL). Unlike an extension cabinet “ which sits after your output section, the IRT-X sits between your amp's output section and your amp's speaker and cleverly mimics the response characteristics of your onboard speaker. Unlike most guitar speakers, which are commonly rolled off above 4kHz, the IRT-X houses a high-quality flat response 8" driver and a 1" compression driver. As soon as you connect the IRT-X, your guitar tone has the capability for far more highs and lows, which means more tone. Used in its most straightforward application, the IRT-X gives you more of your tone, and since its your tone what better than to use it as your own personal guitar monitor on stage “ every gigging musician has run into problems hearing themselves on stage. The IRT-X gives you the solution to hearing your own tone on stage. Better tone that you can hear - it's a win-win situation. But for the player who wants a little more “ the IRT-X has a few tricks up its sleeve. Guitar players love effects but sometimes they can get in the way of your tone “ the best tone is the simplest tone. For this reason, the IRT-X houses a stereo FX loop. Plug your effects into the IRT-X and you get all the benefit of your unadulterated guitar tone “ with effects only in the IRT-X giving you a Wet/Dry setup. The IRT-X can be scaled up to fit even the biggest rigs. With two IRT-Xs, you can run true W/D/W rigs with amazing sonic implications. It's like Sonic 3-D! 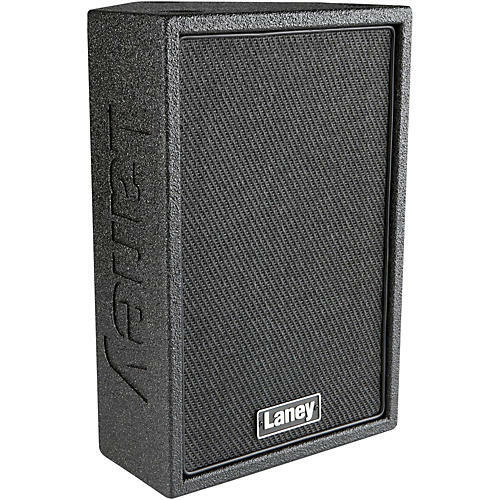 The IRT-X has a super compact footprint which means you can have a massive sound on even the smallest stage. Miking the IRT-X is simple. The IRT-X comes equipped with an XLR DI out which can be sent directly to the PA and provides either a completely dry signal, or can be cabinet emulated “ with or without FX. Emulation options include Dry, 1x12 or 4x12, so there is no need to use a mic and stand, which on a tight stage is great news. The onboard DI also means you get the same great tone night after night, venue after venue “ no more relying on mic placements. The use of high-tech modelling setups requires some specific considerations when it comes to amplification. The IRT-X is ideally suited to pairing with a modelling processor or DSP based DAW package as the IRT-X has a completely flat, full-range frequency response. This means your carefully modelled signal path in not re-EQd during the amplification process.